It’s a fact that wider ad sizes tend to outperform their taller counterparts because their format is more ready-friendly. Visitors read textual and graphical information from left to right and in Arabic and Hebrew languages from right to left. This is know as “thought units,” with several words at a time. Wider ad sizes let the reader comfortably read more text at a glance without the need to skip a line and return to the left margin every few words, as they’d have to do with a narrower ad. Wider ad sizes can increase your earnings. 320×100 large mobile banner on mobile devices. These ad sizes show good performance in general but it’s recommended to use ad sizes that best fit into your site structure and that complements your website best possible. So we want to show you the best performing ad sizes for Google AdSense. 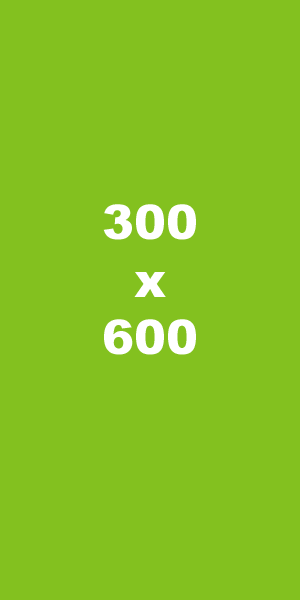 The top 10 banner sizes implicate 90% of all ad impressions. It’s recommended to begin using AdSense with using the top 3 banner sizes and then do some optimizing and A/B testing to select ads which are not so common. We created a top 10 list of the most effective and best performing AdSense banner format. The medium rectangle tends to have more inventory available for advertisers and is the most served banner size on Google’s display networks. It captures a third of all served ad impressions. The leaderboard tends to have more inventory available for advertisers and is the second most served banner format on the display network. It’s just one percentage point behind the medium rectangle. It can also be used with tablet-optimized pages. The “Banner” comes with an impression share of 3% and is on fourth place. This format can fit into smaller spaces that don’t accommodate the 728×90 leaderboard. The supply of available display ads for this ad size is generally limited though, which may lead to sub-optimal ad performance. Can also be used with tablet-optimized pages. This is the thinner version of the skyscraper and it captures 2% of all served impressions. This format can fit into narrower spaces that don’t accommodate the 160×600 wide skyscraper. The supply of available display ads for this ad size is more limited though, which may lead to sub-optimal ad performance. The rectangle format is interesting because it has shown the second highest growth rate of 70% among the other top 10 banner sizes. This is highly likely caused by the high growing of available mobile devices. The button is often used to advertise financial products. Even though its total impression share is only 2%, it probably captures a much larger impression share in the financial industry. This format can fit into small spaces. The half-page banner is one of the larger so-called premium ad sizes. It makes up 1% of ad impressions, however with a strong growth rate of 37%. The Half-Page Banner provides a larger space for advertisers to get their message across and can offer users rich engagement. The large rectangle tends to have more inventory available for advertisers and and is bigger version of the medium rectangle. The mobile leaderboard comes in last among the top 10 banner sizes. However, at a growth rate of 119% it’s outpacing all other banner sizes. This strong growth is obviously driven by the overall growth in mobile traffic. It’s definitely a format to include in your advertising mix and will soon capture a much larger impression share. Interstitial ad slots are only available in mobile apps and fill the entire screen. Eligible ads must be at least 50% of the width and 40% of the height of the screen. Sizeless ads are also eligible for interstitial ad slots. 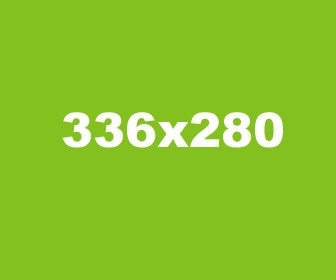 “Sizeless” (also known as “fluid” or “responsive”) ads dynamically expand to fill the screen. Read here more about interstitial bid requests and sizeless ads. 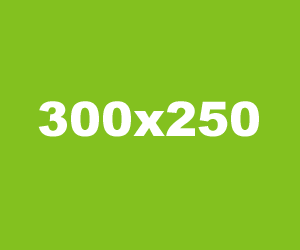 For a complete list of all 30+ supported Google Adwords banner sizes, check out this link.